We are a community based travel and recreational youth soccer club located in Brunswick, Ohio. We have travel boys' and girls' teams from U8 - U14. We participate in the AASL area soccer league and are a proud member of OYSAN. 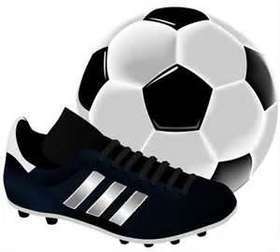 We offer two (2) youth recreational development programs, the Brunswick Soccer Academy, for both boys and girls ages 3-5 (the Little Kickers) and ages 6-8 (the Junior Kickers). Register Now for Brunswick Soccer Academy! Led by licensed and experienced coaches, Little Kickers Soccer prepares players for Travel and Club Soccer opportunities through game-play and fun, fast-track activities. When: The summer session will run for 6 Saturdays beginning on Saturday, June 6th and concluding on Saturday July 18th. There will be no session on Saturday July 4th! Session Format: Each Saturday will last 1 hour consisting of 40 minutes of game oriented activities followed by a 20 minute 4v4 game where kids can demonstrate what they have learned. Your child will be scheduled in a one hour block from either9 am to 10 am, 10 am to 11 am, or from 11 am to noon. The times are dependent on number of attendees. We cannot guarantee all 3 time blocks will be used. Cost: The Summer Session is $55/player (includes a T-shirt). Checks are made payable to Brunswick Soccer Association, or BSA. To Register: Mail registration fee, registration form and a copy of child's birth certificate (new players only) to BSA, PO Box 1248. Brunswick, OH 44212. See attachment for registration form. Make checks payable to Brunswick Soccer Association or BSA. Please submit one form for each player. Registration Deadline: Registration attached to this email postmarked by Saturday, May 23rd, 2015. Looking forward to seeing your player this summer! Kickers Soccer: Great exercise, great fun, great friends = Great Experience! We unfortunately have to cancel the Brunswick Classic 2015. We didn’t get the turnout we had hoped and expected. There are probably a number of reasons which we need to explore some which may be people going on vacation and also coming off other tournaments towards the end of the year. Last Fall, we had last minute, unexpected circumstances regarding fields which forced us to cancel last November. We then worked hard to come up with an alternate date which turned out to be June 19th as the next best alternative. We of course are not happy with this decision but we have more time to account for field availability in 2015 and plan to return the date to the end of the season which seems like the best time to be able to host more teams. Details to follow so please stay tuned. We will be sending out refunds soon as possible. Again sorry for the cancelation but to host a tournament with such low numbers will not benefit any teams are participating. Julius Bohrer- BSA Travel President and Tournament Director. Download handout (pdf file) for the Little Kickers (ages 3-5) Summer Soccer Program - Registration Form. Click on the tab to the left regarding this scholarship. Scholarship is for girls only currently playing recreational soccer interested in playing travel soccer next year. Details to follow. Any questions, contact any BSA board member.